The Freedom From Religion Foundation is protesting a sizeable government giveaway to a Virginia church. A concerned local taxpayer contacted FFRF to report that St. Mary’s Episcopal Church received $10,000 in taxpayer funds to refurbish the church’s stained-glass windows as part of a Virginia Department of Housing and Community Development revitalization grant for the town of Colonial Beach. The first phase of this revitalization program allowed business applicants to receive forgivable loans to improve the outside appearance of their buildings. Forcing taxpayers to financially support a house of worship violates both the Virginia Constitution and the U.S. Constitution, FFRF reminds the town of Colonial Beach. Article I, § 16 of the Virginia Constitution declares that no one “shall be compelled to frequent or support any religious worship, place, or ministry whatsoever . . . And the General Assembly shall not . . . levy on themselves or others, any tax for the erection or repair of any house of public worship, or for the support of any church or ministry.” This Virginia “No Aid” Clause is similar to a provision in the New Jersey Constitution. And earlier this year, the New Jersey Supreme Court unanimously held in favor of the Freedom From Religion Foundation that grants totaling more than $4.6 million to twelve churches for church repairs violated the state’s No Aid Clause, FFRF emphasizes. The handout violates the U.S. Constitution, too. 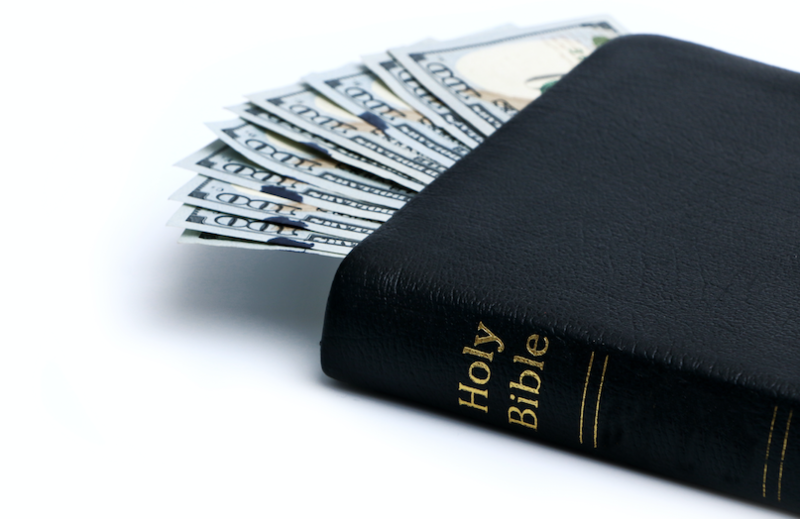 Taxpayer funds should never be used to advance religion or places of worship, FFRF asserts. Once the government enters into the religion business, conferring endorsement and preference for one religion over others, it strikes a blow at religious liberty, forcing taxpayers of all faiths and of no religion to support a particular expression of worship. To avoid this problem in the future, Colonial Beach should not use taxpayer funds to repair places of worship. The Freedom From Religion Foundation is a national nonprofit organization with over 32,000 members nationwide, including more than 700 members in Virginia. FFRF’s purposes are to protect the constitutional principle of separation between state and church, and to educate the public on matters relating to nontheism.